Care Instruction : Clean it gently & Without any cleaning agents. 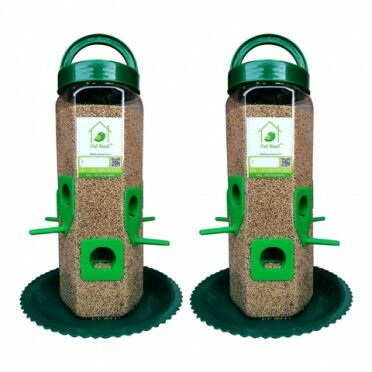 Disclaimer: The bird’s might take few days to few months to visit the bird feeder as it’s a natural process and depends upon the presence of birds in your locality. The bird feeder is not a magnet which will attract birds from far and wide hence one need to have patience.